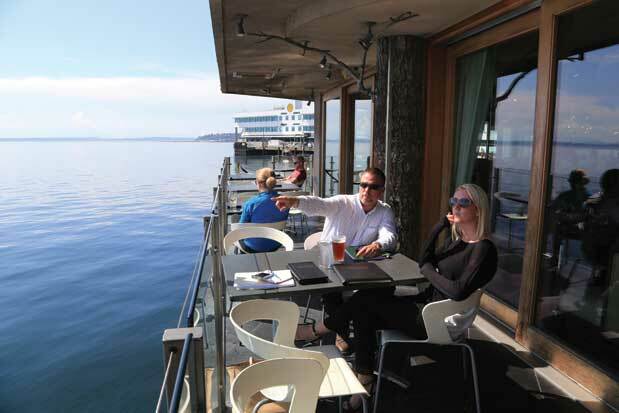 Come warm summer weather, we take every opportunity to sup on the sidewalk or sip wine on an umbrellaed patio. 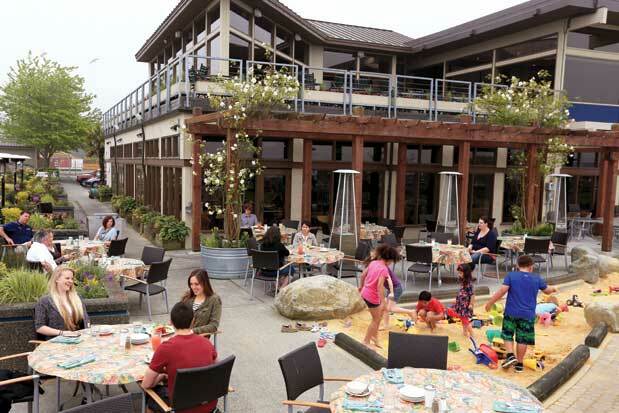 Plan your alfresco dining around these knockout views, waterfront seats, hidden tables under the stars and new patios with vibrant cocktail scenes—and fire pits to keep the chill off. 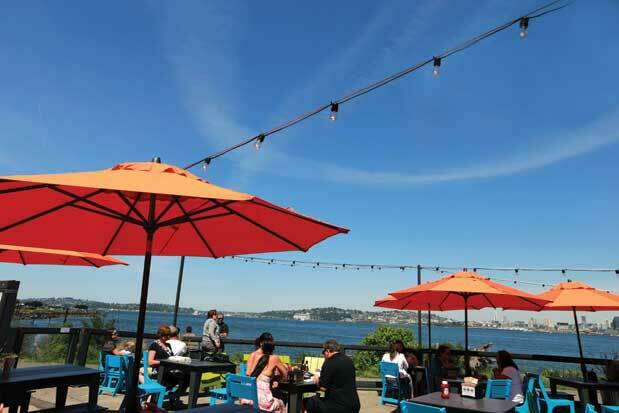 Ray’s Café [SEAFOOD] Why here: Ray’s Café (above Ray’s Boathouse) is an iconic, only-in-Seattle experience, especially the deck, where the jagged Olympic Mountains and lapping waters of Puget Sound create an unforgettable backdrop for dinner alfresco. Eat: Start with the outstanding smoked salmon skewers and splurge on king crab legs with drawn butter. Drink: The Bloody Mary here is terrific: spicy, strong and packed with veggies. It’s an ideal match for most of the seafood. 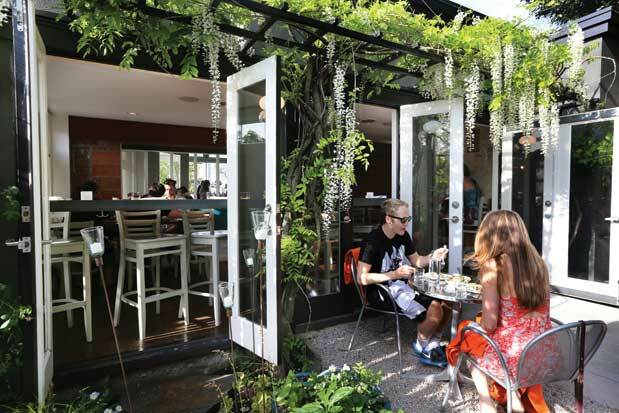 Café Presse [CHIC SIDEWALK HANGOUT] Why here: There’s always something seasonal and delicious to eat at Capitol Hill’s effortlessly chic Café Presse. And at the handful of sidewalk tables, midday rosé is not only acceptable, it’s encouraged. This story has been edited since its original publication.